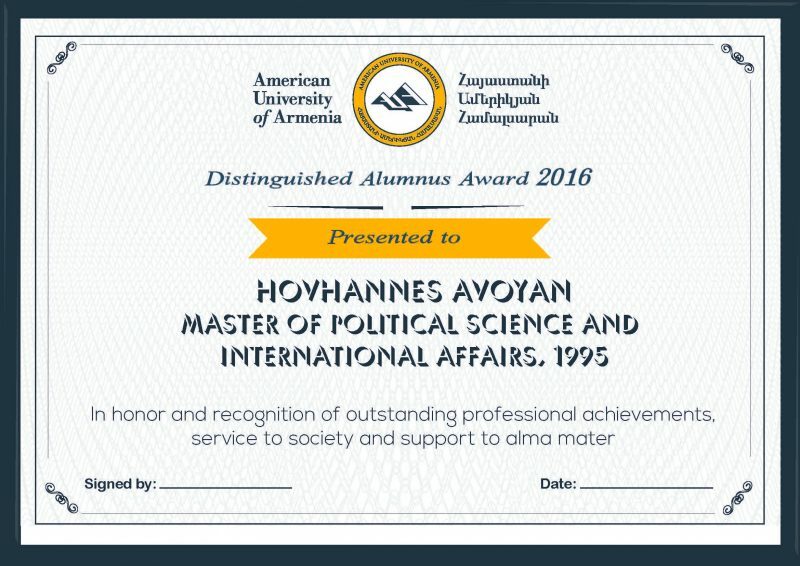 YEREVAN, Armenia – On September 29, the American University of Armenia (AUA) was proud to welcome back one of its most beloved alumni and recipient of this year’s Distinguished Alumni Award, Hovhannes Avoyan (MPSIA ‘95). 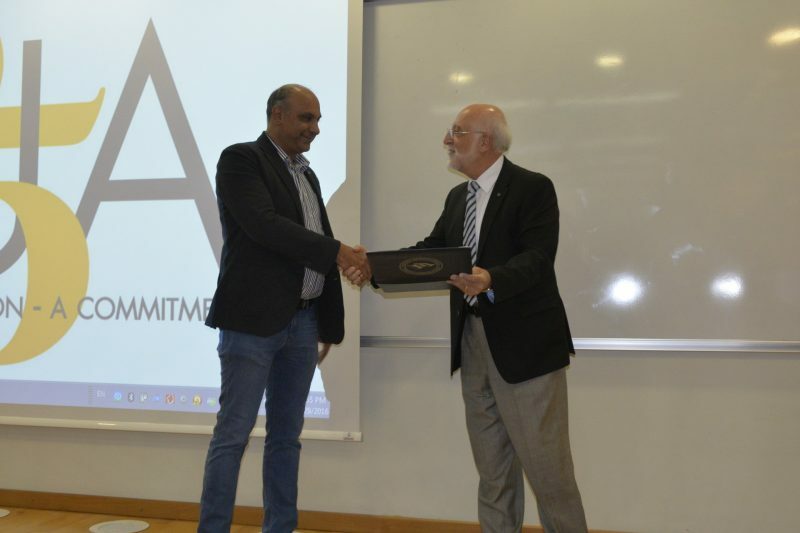 On September 16, Mr. Avoyan was announced as the recipient of the award by Dr. Aram Hajian, Dean of AUA’s College of Science & Engineering, during the University’s annual alumni reunion. The 2016 alumni gathering marked the start of many new beginnings including the launch of the Distinguished Alumni Award. 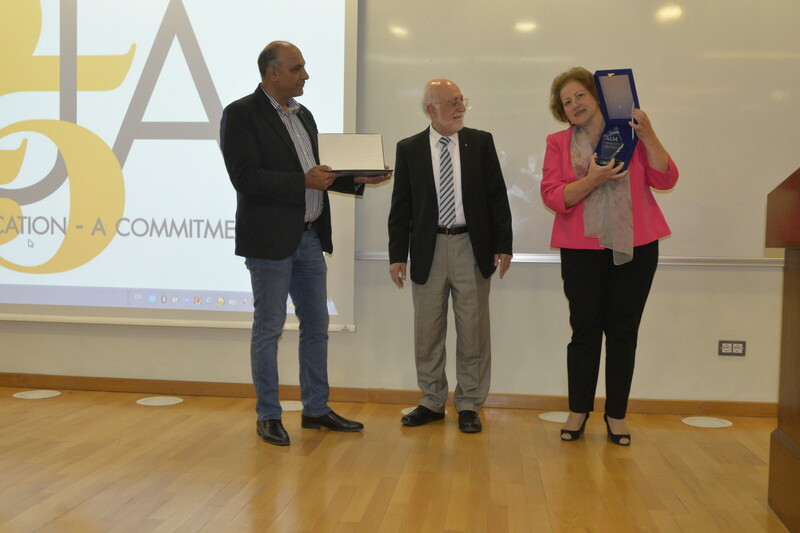 Though Mr. Avoyan was unable to be present that day, fortunately he made the time to come back to his alma mater, where he was officially presented with the award by Dr. Armen Der Kiureghian, AUA President. Here, he also met with the AUA Community to share his professional and life experience. Mr. Avoyan spoke very humbly about his achievements as the Founder and Chief Executive Officer of PicsArt Inc., Monitis Armenia, and Sourcio. His start-up companies have created over 600 well-paying jobs in Armenia, and tens of new companies were created or managed by his former employees. 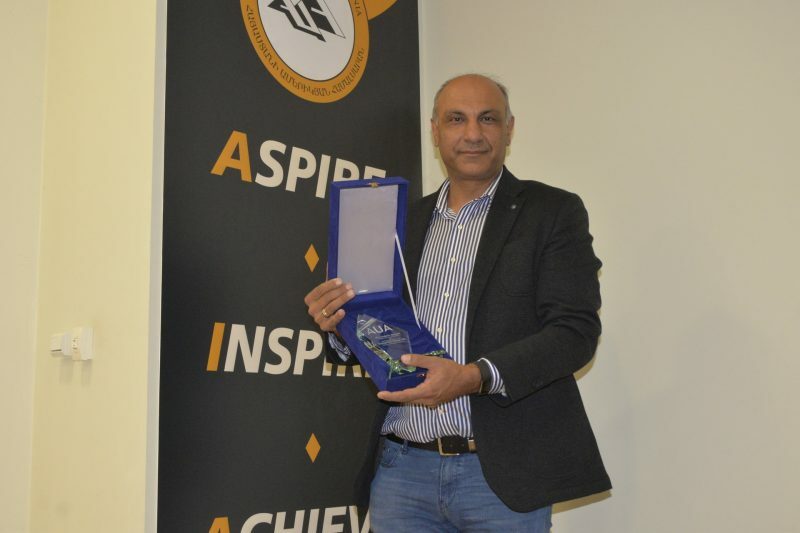 When asked how he assembles his start-up teams, Mr. Avoyan admits that he has one favorite strategy: to teach at AUA and then hire the brightest students from the University. 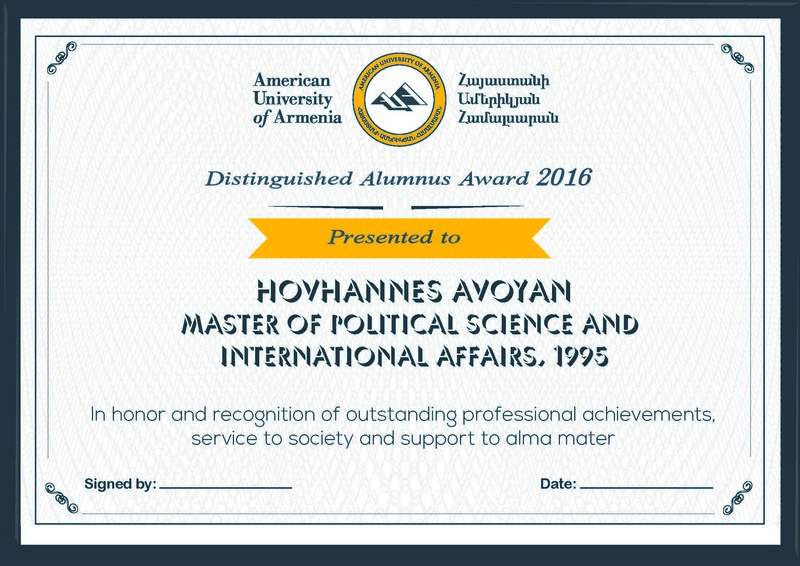 As a graduate of the Political Sciences and International Affairs program, Mr. Avoyan recalled that his education gave him a platform of strategic thinking, which he constantly uses when creating new businesses. As an expert in creating start-ups, Mr. Avoyan said that the nature of his job is often to think outside the box and even “break the rules”. When current students asked him what were the keys to success in start-up businesses, he emphasized that the necessity to read as much relevant literature as possible, work closely with R&D teams, and most importantly be “a little crazy”. 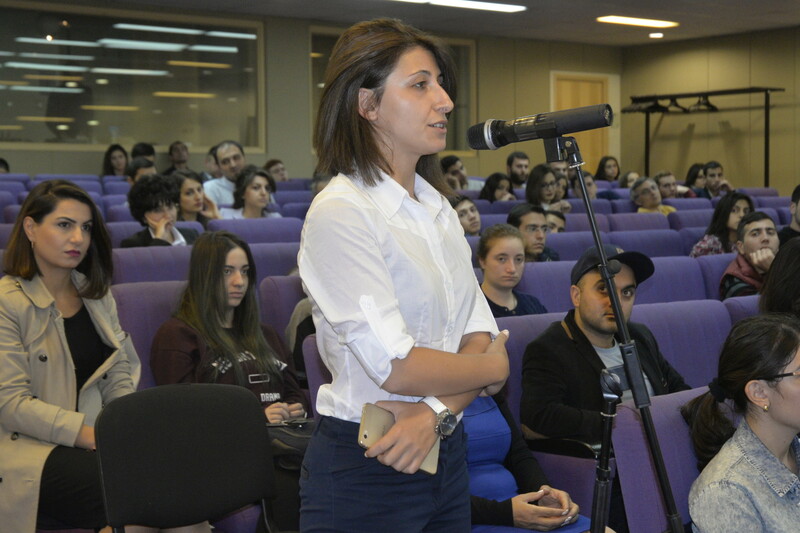 During the informal Q&A Mr. Avoyan was happy to see many friends, colleagues, and former classmates in the audience. He said that even during the collapse of the Soviet Union in Armenia, AUA served as a beckon of light and a place that allowed him and his classmates to learn and broaden their horizons. 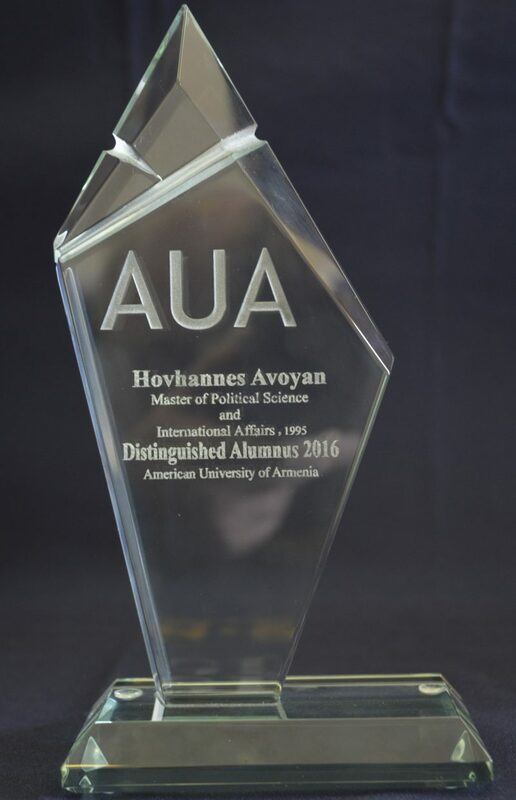 Throughout his life and professional accomplishments Mr. Avoyan has had a continuous collaboration between all his endeavours and the AUA Community. The University treasures such successes and looks forward to many more who will join the ranks of Distinguished Alumni in years to come.